Hi my name is Sansa. 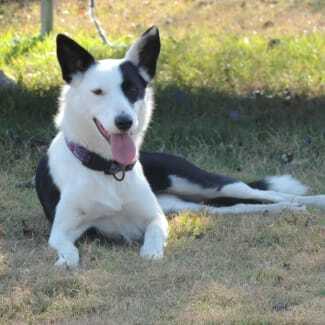 I am a 2 year old short coat black and white female Border Collie. Once I get to know you I will melt your heart with my charm. The things I love most in the world are kids, food, sheep, birds and toys. I’m so lucky my foster home has kids for me to play with! I love to follow my human siblings. I’m good with other dogs too. I enjoy going on walks, chasing birds, pats and belly rubs. Although I am pretty active I am happy to chill too, preferably in my crate but also next to you. I can sit, wait for my food, come when called, am toilet trained and crate trained. I have very good manners, I am very gentle, don’t jump, I wait to be patted and I’m very quiet, apart from when I hear a siren then I like to serenade you with my howl. Being a working-breed, I love to herd sheep - been practising with my doggy foster siblings 🤭I really would love a job and have been told that I have a lot of potential at being sheep trialling dog. I need a home where I will be put to work whether it be out on a farm or running around on an agility course. Something that keeps me both mentally and physically active. I would love a forever family who will continue my regular mental and physical stimulation required for my breed. Most importantly I need a family of my own who will love me and include me in their daily lives. If this sounds like you, I look forward to meeting you! Woof, lick, Sansa. 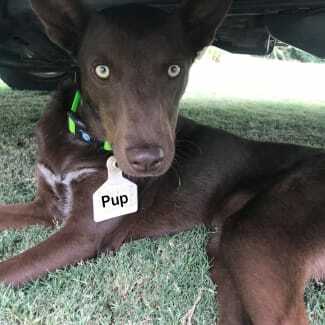 Handsome Skip is a 14 month old male kelpie cross. He’s a playful, affectionate and happy little bloke, full of adventure and fun! He loves to play and rumble around with his foster siblings and he LOVES cuddles. Skip is well socialised and very inquisitive. He will happily follow you around the yard offering his assistance in between exploring and playing with his foster siblings! Skip is a very smart boy and learns quickly - he's just learned to sit, walk on a lead and wait patiently for his dinner and treats. He is also crate trained and will happily sleep through the night in his cosy bed. He's only been in care a short time and has already learned his basic manners. 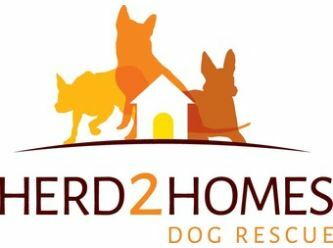 As he is a young working breed dog, he'd be best suited to a home where he can be challenged mentally and physically on a daily basis. He's always aiming to please and will make a great companion. Skip is a very social pup and will thrive in a home with other pets and/or lots of human company. If you'd like to include this gorgeous little fellow into your active and busy home, please apply now! 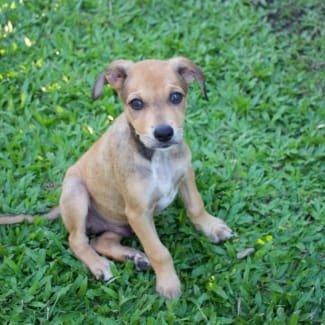 Hi there, my name is Mason, I am 11 weeks old and am a kelpie cross who enjoys playing, cuddles and sleep! I am a tan boy with some white pattern on my chest. I am a sweet boy who really enjoys getting cuddles and pats from my foster parents. I also enjoy playing with other dogs, chasing balls and tugging on toys. My foster parents have started to teach me how to behave well but I will need to continue my training when I get my new home to make sure I continue to be a good boy. I sit for pats and am learning my name! I think most types of homes would suit me but as I am a working dog breed, I will require training and socialisation to help me stay physically and mentally stimulated. The one thing I do care about most is that I find a home that will love me and include me in their lives. If you think you would like me to join your lives, then please email your application in now! Kind regards, Mason. Angy is a charming, 18 month old cream Kelpie boy who is every bit as sweet as he looks in his pictures. Every human he's met has been very taken by him, and he has no problem accepting many pats from them all! 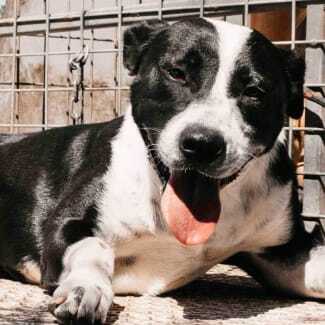 He's a very affectionate and fun boy who will be sure to give you lots of thank-you kisses for looking after him. Angy has never shown aggression, barked and rarely jumps. He's a downright cutie who’s just excited to get plenty of love from his forever family. Angy's favourite past times include treasure (Schmackos) hunts in the backyard, juicy bones, alone time playing with toys and sun baking. He has ‘sit’ and ‘come’ down-pat. He is getting used to car rides. If there is food, he is willing to learn! 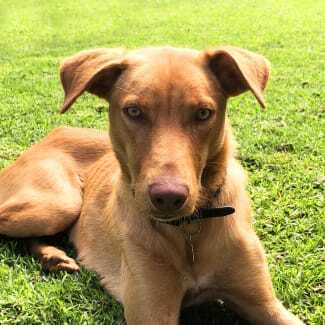 He would suit a family or owner who lives in the suburbs with the appropriate amount of walkies, socialisation and activities to suit a clever Kelpie like Angy. He is patient enough for children and affectionate towards new people. Angy has acclimatised quickly to the noises and distractions of a noisier, suburban - when faced with the ice cream truck, postman and rouge dogs visiting the fence, he is either quietly curious or totally unfazed! If Angy sounds like someone that would fit right into your family, please apply now. Meet Buddy! He's a 19 month old kelpie cross boy who is an easy going boy who is ready for his very own forever home. Buddy is a no fuss dog who likes all animals and people, he listens and obeys commands, has great recall and nice manners, he loves to laze around or help his people to do their daily chores! He’s a loving and affectionate boy who has a big heart! Ute rides are a favourite too! If you like this lovely fella please email to meet him!